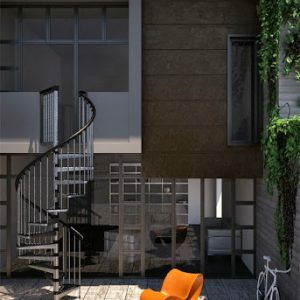 The solid and resistant exterior spiral staircase. 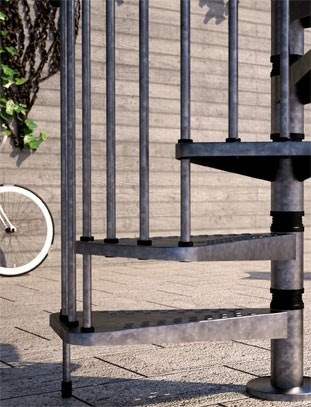 Exterior Zink is a spiral staircase in galvanized steel, ideal for outdoor use. 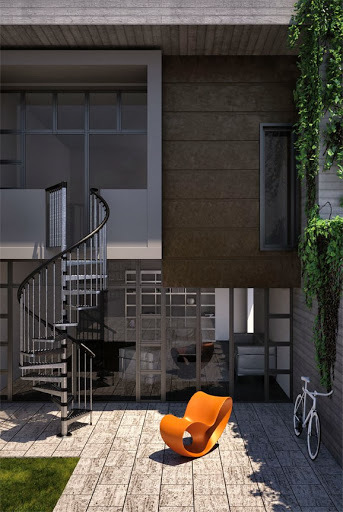 All its components in steel are coated with a zinc painting system, which makes the staircase solid and resistant to unfavorable weather conditions. Thanks to an innovative regulation system and practical assembly instructions, its installation is easy and fast. Screws are in stainless steel and the handrail in moplen has an ergonomic design that allows an easy grip. 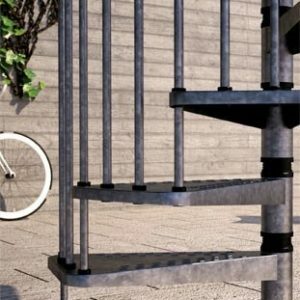 The basic version includes 12 steps + 1 universal landing + railing with handrail, but it is also possible to customize it thanks to a wide range of accessories.